We will become our own doctors. One of the biggest impacts of new technology - and perhaps the most life-changing - will be felt in healthcare. Diagnosis of illness will be fast and efficient, and medicine will be highly personalised. Wearable technology will be the norm, and we’ll know we are sick before we even get a single symptom. Meanwhile, new drugs will come to market at breakneck speed as clinical trials get faster and more accurate. Ultimately, we will become our own doctors. AI is already being used in healthcare, and these seven examples offer a glimpse into our medical future. AI can now diagnose skin cancer more accurately than experts. A recent study, published in the Annals of Oncology, showed an AI was able to diagnose cancer more accurately than 58 skin experts. The AI had been trained using images of skin cancer and the corresponding diagnoses. Human doctors got 87% of the diagnosis correct, while their machine counterpart achieved a 95% detection rate. The extent to which a doctor can confidently recognise melanoma depends on their experience and training. This means that diagnosis - and therefore outcomes - can vary. The AI technology could reduce the number of false positives when symptoms are being assessed, meaning fewer people would undergo unnecessary treatment. It could also help reduce the overall wait times for patients who need surgery. Our eyes are the window to our soul, so the saying goes, but they’re also a window into our health. Picking up eye problems early can significantly reduce the chance of sight loss. 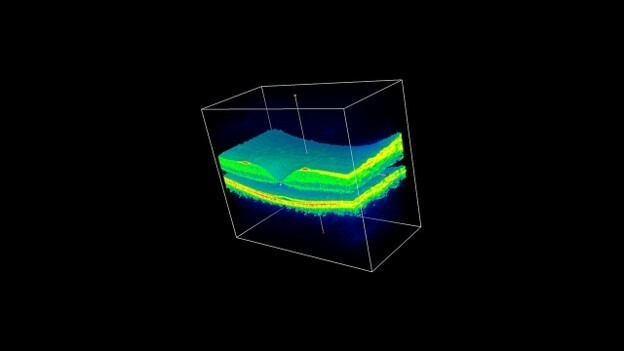 Several programmes are looking at how to combine existing medical knowledge about our eyes with AI tools. Google DeepMind has teamed up with Moorfields Eye Hospital in London to work on diagnosing two major conditions that cause sight loss: diabetic retinopathy and age-related macular degeneration (AMD). Together, these eye diseases affect more than 625,000 people in the UK and over 100 million people worldwide. Algorithms have been trained using thousands of eye scans, then set to work detecting potential issues, allowing doctors to recommend the right course of action in a fraction of the time it would normally take and with a greater degree of certainty. DeepMind says that 300,000 UK patients a year could be helped if the system is given the go ahead for general use following the completion of clinical trials. AI is not new, but it has been thrust into the limelight in recent years because of the increased computing power we now have. AI can scan through data at a hyper-fast rate that is impossible for humans to match. One of the ways this data crunching could revolutionise healthcare is in the development of new drugs. The technology can analyse data drawn from a wide variety of sources, such as clinical trials, patient health records and genetic records, and help predict how a drug might affect a person’s cells and tissues, leading to better trials and paving the way for a personalisation of their medicine. This more streamlined process could bring drugs to market much faster. When doctors are trying to decipher how much a patient’s brain has been damaged by trauma, they use a coma scale. After performing a series of tests, the doctors give the patient a score. That score reflects the patient’s prognosis and may play a part in decisions regarding the use and possible withdrawal of life-support machines. In a Chinese trial, an AI system trained on brain scans came up with its own score, which was very different to that given by the doctors. One patient was given a seven out of 23 score by doctors, but after the technology analysed his brain scans, the AI gave him 20. A score of seven indicates such a low likelihood of recovery that the patient’s next-of-kin would be given the option of withdrawing life-support. But true to the AI’s prediction, the patient eventually woke up. The AI got nearly 90% of cases right, by tracing brain activity invisible to the human eye, such as tiny changes in blood flow to the brain. The system is an integral part of the hospital’s daily processes and has helped diagnose more than 300 people. AI’s ability to read both medical images and medical records could save the vast amount of time that radiologists and cardiologists spend diagnosing disease. Radiologists have to examine hundreds of images a day to diagnose illnesses, but eye fatigue from doing so can lead to mistakes. 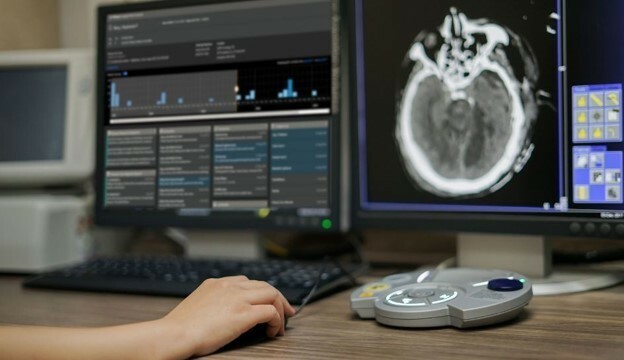 IBM is developing an AI system that would assist radiologists by sifting through millions of images and comparing them to other data on the health of the patient. The software is in an advanced stage of testing and preparation for commercial use, and the IBM team behind it are working to refine its accuracy. More than 300 million people of all ages suffer from depression, according to the WHO. AI could transform the way the illness is diagnosed, and provide technology-based treatments. For instance, California-based MindStrong, has recently published a paper showing that their technology could pick up the signs of depression and other mental disorders, by analysing how people use their smartphones. “The data from a smartphone can yield insights into how we are thinking, feeling, and behaving,” says Dr. Thomas R. lnsel, the company co-founder. Their proprietary technology analyses how people type - their taps, scrolls, and clicks - to predict a range of cognitive traits and mood states. Artificial intelligence is also showing promising signs in being able to help alleviate the symptoms of depression. A recent trial involving Woebot, a chatbot that has been designed according to the principles of cognitive behavioural therapy, showed that it was effective in treating the disorder. In the trial, 70 participants aged 18-28 years old, received either two weeks (up to 20 sessions) with Woebot, and or were directed to the National Institute of Mental Health ebook. 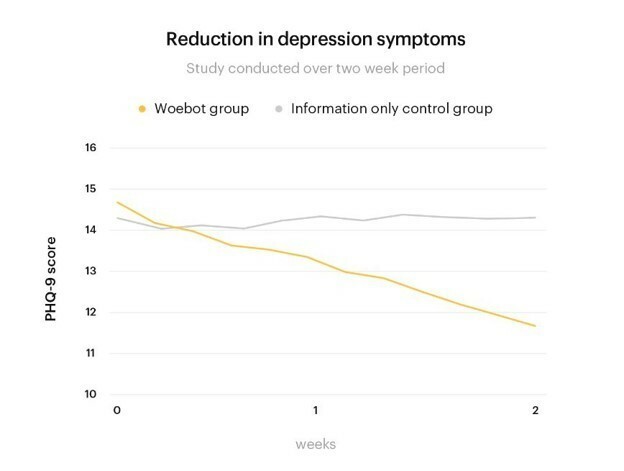 For those in the Woebot group, depression symptoms significantly reduced over the study period. A Business Insider journalist who tested Woebot found it to be “surprisingly helpful”. Doctors spend years in training, learning all about the human body and the vast number of illnesses and disease that can befall it. They also need to keep track of up-to-date research published in medical journals and medicine development. Researchers in China showed how a robot could help doctors retrieve this information, by remembering it all for them. In their test, the AI robot - which had absorbed the contents of dozens of medical textbooks, 2 million medical records, and 400,000 articles - passed the medical license exam test in a fraction of the time of its human peers, and with better accuracy. 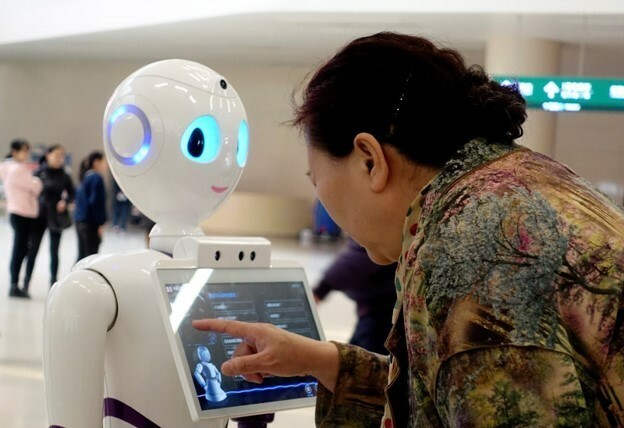 The robot, called the iFlyTek Smart Doctor Assistant, achieved a score of 456, significantly higher than the mark of 360 required to pass the exam. However, the robot won’t be taking on hospital round duties any time soon, rather, it is designed to assist doctors as they attend to patients.